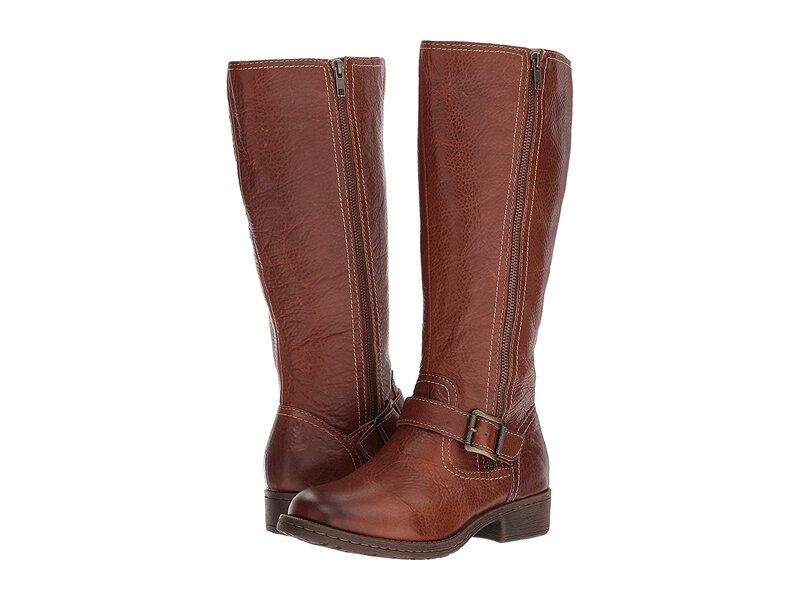 Embrace the season with the rich and rustic style of the Sedalia tall boot. Full grain leather upper with light distressing. Features leather strap with antique buckle detail. Stretchable gore V-panel at collar for a roomier fit.